Ever since I started this blog planning for friday meals has become a lot more important and I must say a lot more fun. The one factor that has helped me plan the dishes has been that this year a lot of festivals and celebrations have fallen on a friday - navratre, diwali, christmas eve, new year eve to name a few. Its New Year Eve and we are as usual having a potluck party with a few of our friends. I usually get the dessert department for new year eve parties since its Pankaj's (my husband) birthday on the first of January. 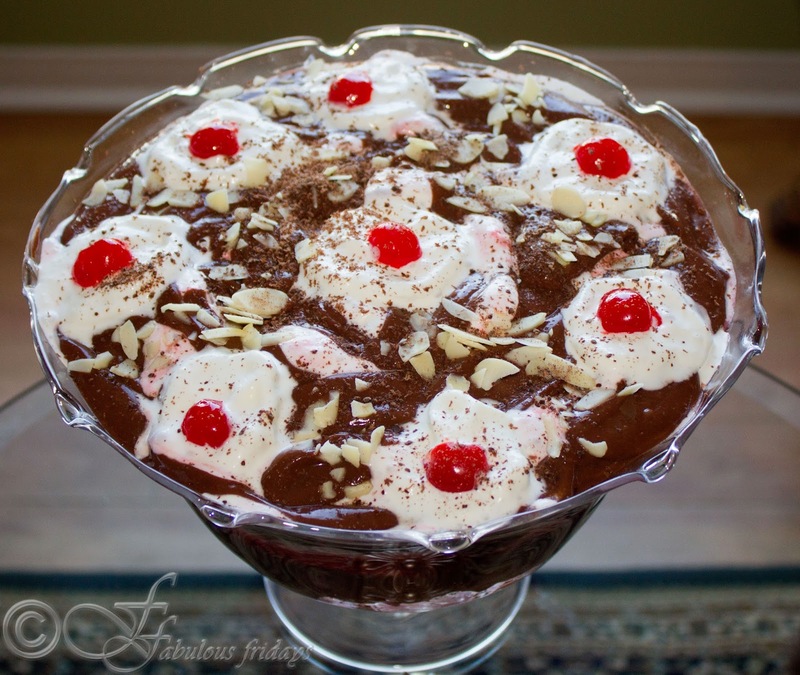 He is turning 45 this year so with the usual birthday cake I decided to make the decadent Chocolate Trifle Pudding. 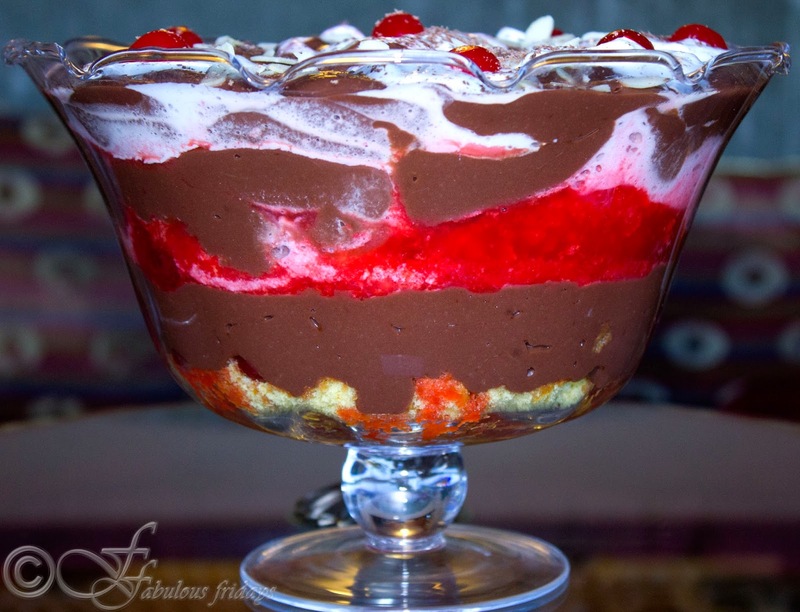 Trifle is a traditional English Dessert and can be made using any flavours blended together. It is a layered composition of cake, fruit, whipped cream, nuts and custard where fruit and sponge cake form the bottomost layer and custard and cream the top ones. The one I made is a raspberry -- chocolate blend. Instead of a big bowl I will be serving individual cups and so the small wine cups came in handy. 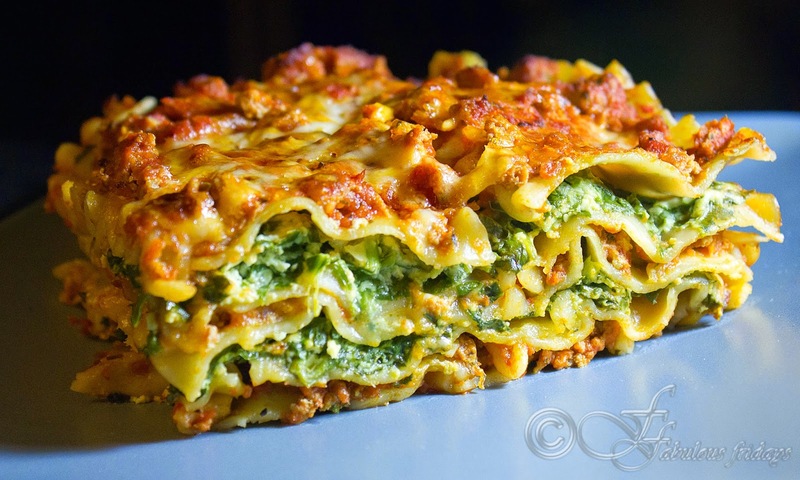 If you are serving this as a big dish the layers can be repeated depending on the depth of the container. See pictures below. Now I am off to get dressed for the party. Hope you all have a wonderful time tonight with your family and friends and welcome the new year with a smiling and singing heart. Hope everyone enjoys this chocolatee delight full of varied and decadent flavours. Here's wishing that your New Year is filled with all the rich flavours of life. Its Christmas Eve, the tree is full of gifts and the kids are gazing at them with increased excitement and anticipation. They have already opened one present and cannot wait for morning to grab the rest. The only distraction i can provide at this hour is a meal that might distract their attention for an hour. I decided not to go with the traditional chiristmas turkey dinner tonight. My husband is not a big fan of turkey for one and even the smallest size is too big to serve a family of four. I decided to go with chicken breast and roast it with a spice rub. I served the meal with tomato carrot soup. You can serve this meal with your favourite soup. Enjoy. Rub the spice rub and seasoning on the chicken breast and keep aside for 10-15 minutes. Heat oil and butter in an oven safe pan and put the chicken breasts in. Sear the chicken on one side at high heat for a minute till brown, turn and do the same o the other side. Carefully transfer the pan into the oven and bake at 400F for 20 minutes till done. Slice and serve drizzled with gravy. Combine garlic and olive oil and brush the bread slices liberally on one side. Toast the slices in the oven at 350F for 5-7 min till toasty and lightly browned. In a pan heat olive oil and add the whole tomatoes. Stir fry for 2-3 minutes until warm and just softened. Add the herbs and seasoning and fry for another minute. Serve over the garlic croutons. Its Christmas holidays for the kids and they love to mess up in the kitchen with me preparing treats and having fun. This year we decided to make it a chocolicious christmas. So here goes two of our fave treats which combine well with tea, coffee and milk alike. After a whole afternoon of floury counters and buttery fingers we prepared these and then had a long lazy and definitely calorie packed snack break. Merry Christmas everyone and enjoy these treats with your kids now and always. 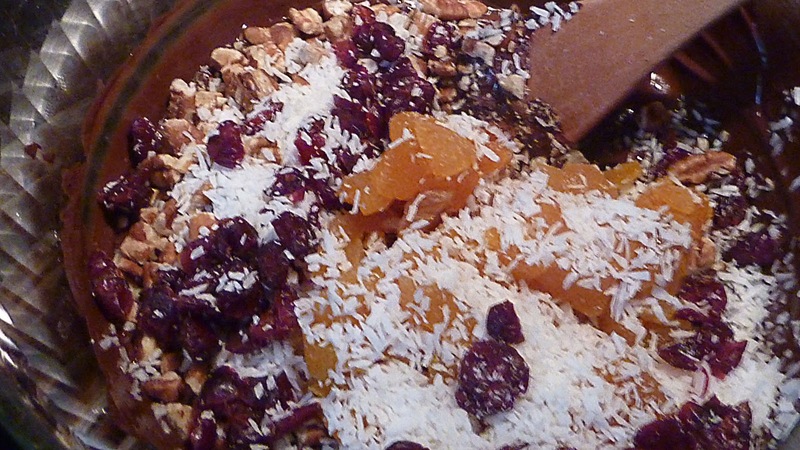 1/3 cup each craisins (dried cranberries), chopped dried apricots and unsweetened dry coconut. Add all other ingredients and mix thoroughly. Drop spoonfuls into muffin liners and leave at room temperature for 2 hours to set. Can be stored in the refrigerator for 4 days. Divide all ingredients into two portions. We will make a vanilla dough and a chocolate dough. Add flour and vanilla extract and milk to make a stiff white dough. Add flour, vanilla extract and milk along with cocoa powder to make a stiff chocolate dough. Thinly roll out both to about an eight of an inch thickness and similar length and width dimentions. Place one on top of the other and carefullt roll them from one end tightly into a roll. Cut 1/4 inch thick slices and place on a greased cookie sheet. Bake at 350F for 15-20 minutes. Do not overbake. Cool for 10 minutes before digging in. Families are special and deserve a celebration once in a while. So to make tonight a party night we decided to have an Appetizer and Cocktail Night instead of a regular sit down meal. My husband made cocktails on demand, even the girls got several rounds of Shirley temples. It was flirtinis for the adults. Cheers everyone. 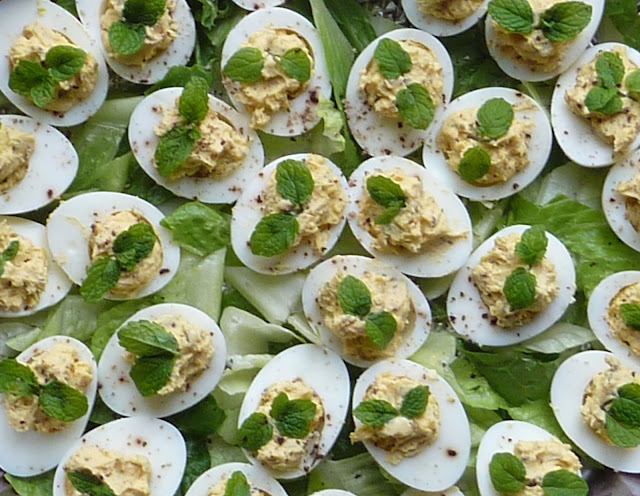 Cut the hard-boiled eggs gently in half lengthwise. Scoop out the yolk in a bowl and place the white shell on a serving platter. Add mayonnaise, seasoning and finely chopped mint to the yolk and mix very well. Now spoon this mixture back in the empty egg white shells. Sprinkle with more cracked black pepper and garnish with a mint leaf. Cover and refrigerate for minimum 2 hours or max up to a day before serving. 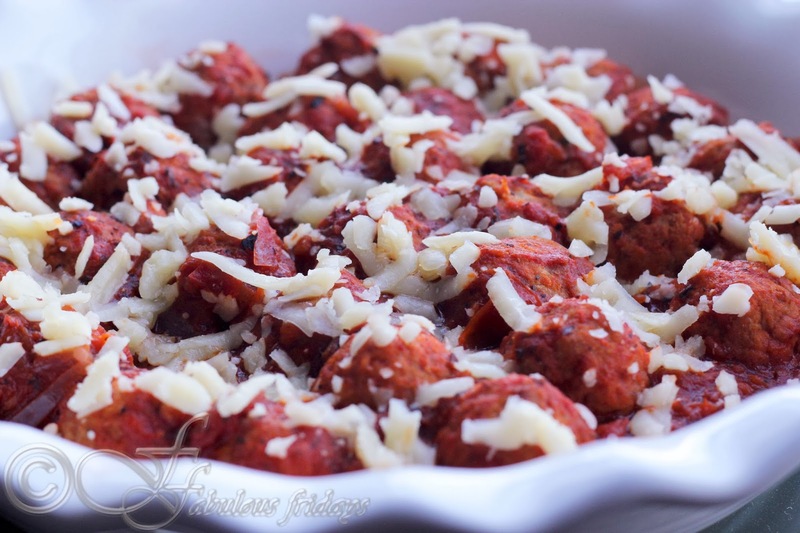 This is a twist on the classic chicken balls recipe. The mint sauce gives it a freshness and an Indian BBQ feel. You can even serve these inside a wrap and it will taste like kathi kabab. This is a great recipe for a party. With my girls, it was a great hit. Mix all the ingredients for the chicken balls thoroughly. Shape into small 1 inch balls. Deep fry in hot oil till golden brown OR Bake at 375F for 15 minutes. Make the mint sauce by putting all the ingredients (except tomato paste) in a blender with a little bit of water and blending till it becomes a fine minty concoction. In a pan put a tsp oil and add the mint sauce along with tomato paste and bring to a boil. Now add all the chicken balls and coat them thoroughly with the mint sauce. Simmer covered for 2 minutes to let the flavors seep through. 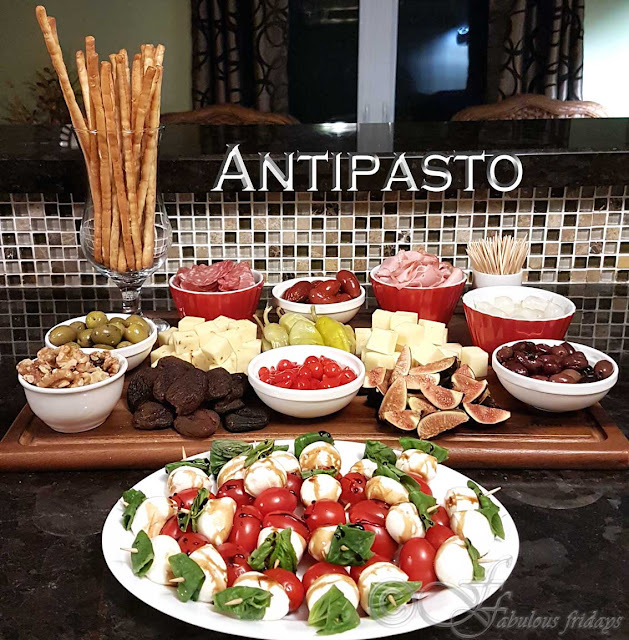 Divide cheese, tomatoes, and olives among 16 toothpicks. In a shallow dish put the dressing and place the skewers in it. Turn the skewers to coat evenly. 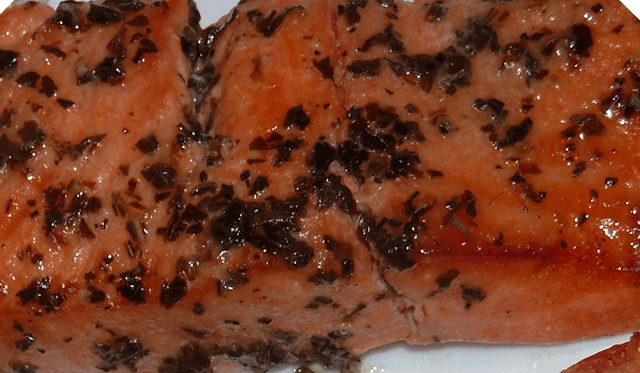 Let them marinate for 15 minutes at room temperature before refrigerating. I have very often heard parents complain about their kids not having veggies. 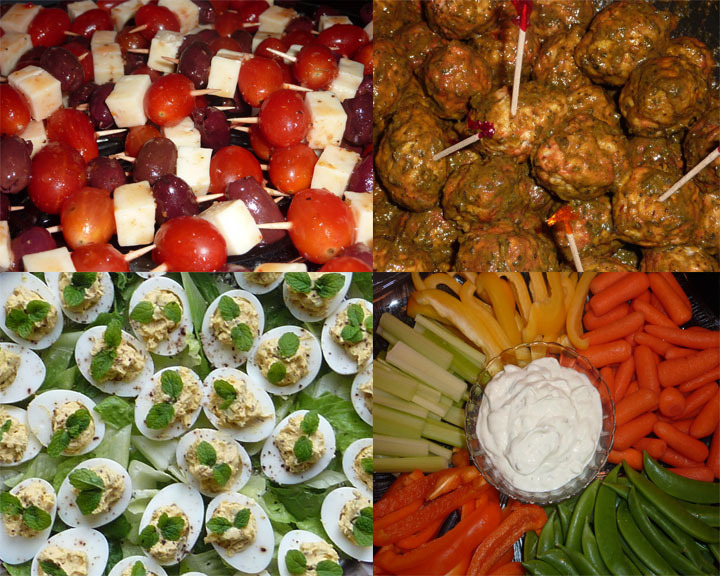 A great way to lure them to do so is by serving the salad alongside a great tasting dip. This one here is a sure winner every time. 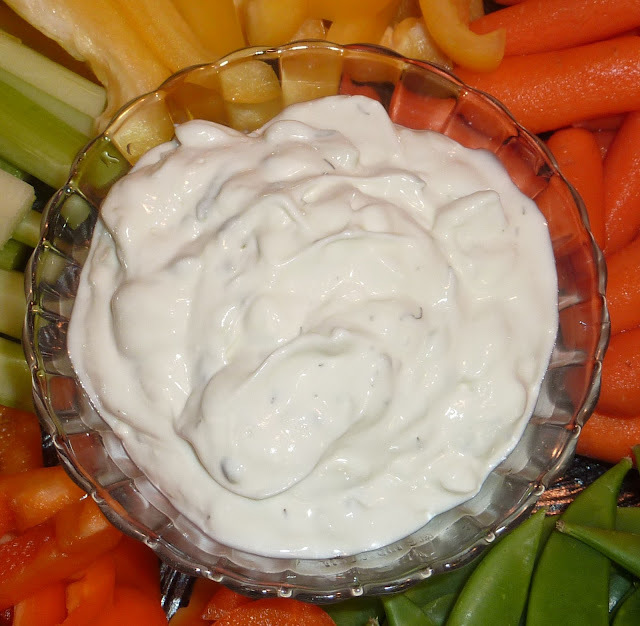 Mild in taste and low in fat, this greek dip is usually served cold with souvlaki and gyros. Garlic and the crushed mint gives it a unique flavor. Put the yogurt in a muslin cloth and put it in a strainer over a bowl. Let stand in the fridge for 4 hours to separate the liquid from the thick yogurt. Mix all the ingredients together with the strained yogurt. An elegant French classic dish, Chicken Cordon Bleu is made by rolling chicken with ham and Swiss cheese. 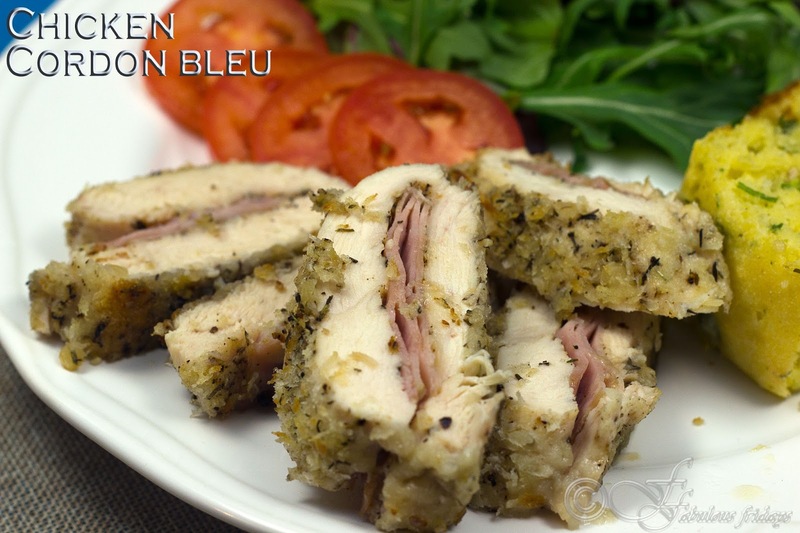 This one strays from more traditional renditions by baking the chicken breasts after stuffing rather than pan frying. As a result the chicken spirals don't get the rich golden color but they taste delicious and are a healthier take on the traditional classic. Mashed potato and green beans make for excellent sides. 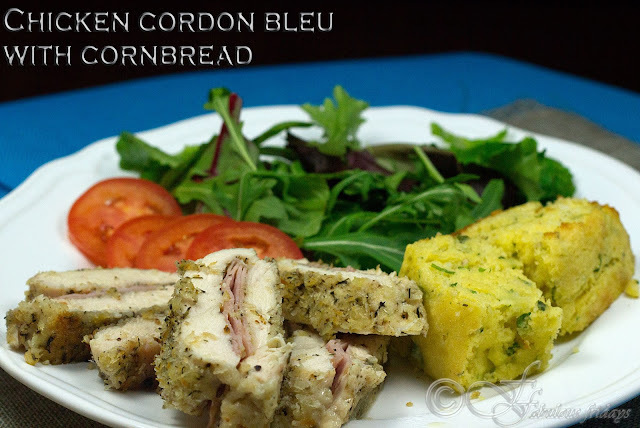 Here I served it with fresh greens and tomato and a southern classic - cornbread. 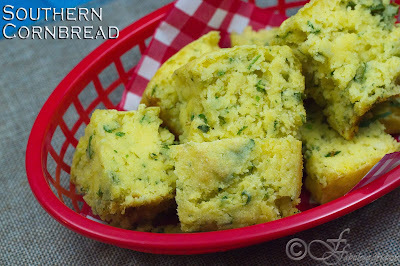 Slightly sweet with lots of flavor from garlic and jalapenos cornbread can be served anytime of the day. Place the chicken breast on a chopping board and, with your hand flat on top, using a sharp knife, slice into one side of the breast. Be careful not to cut all the way through to the other side. Place it between two sheets of heavy duty plastic wrap and flatten with a mallet or a rolling pin to about a quarter inch thickness. Season chicken with salt and sprinkle with some parsley. Place a slice of ham on the chicken followed by a slice of cheese. You cal roll the chicken breast or just fold it over. Brush over the entire surface of chicken with the mayo-water mixture. 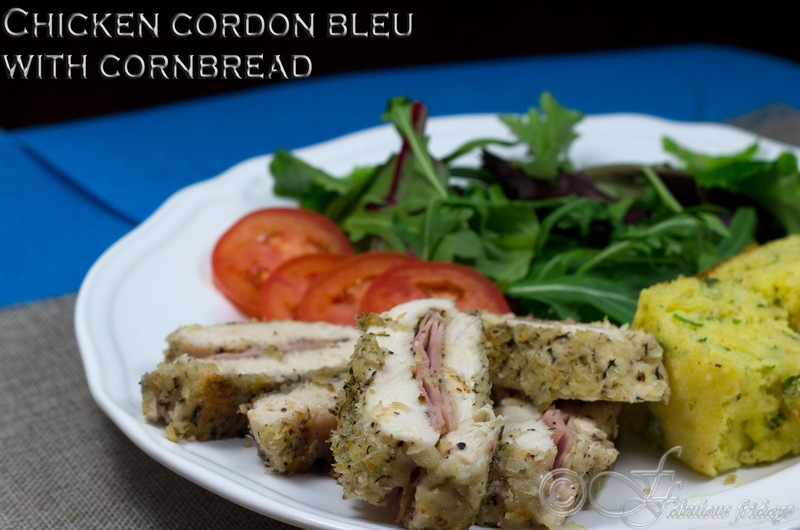 Combine the breadcrumbs with thyme. Now carefully dredge the chicken rolls in breadcrumbs. Place them on a greased baking sheet seam side down and bake at 350 F for 25-30 minutes or until the chicken is done. Let it rest covered for 5 minutes. 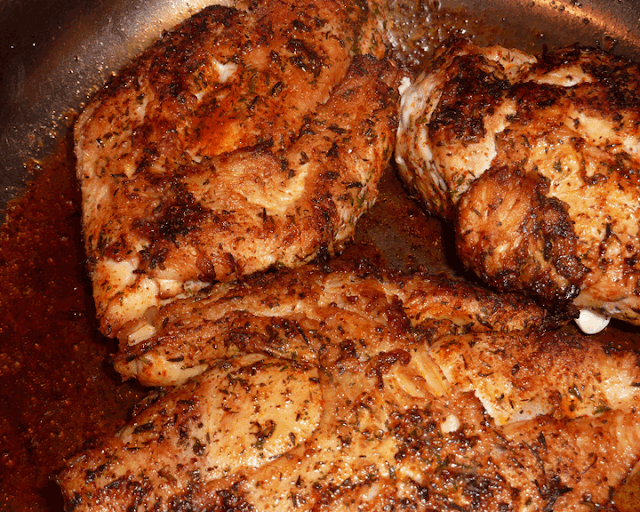 Alternatively pan fry on medium heat till chicken is cooked through and is rich golden brown on the outside. Slice into inch thick slices and serve hot. Combine buttermilk and oil and stir in garlic, green onions and peppers. Add to the dry ingredients and stir until just moistened. Do not over mix. Spoon batter into a greased square pan and bake at 400 F for 20-25 minutes or until done. Cool 5 minutes before cutting into squares. 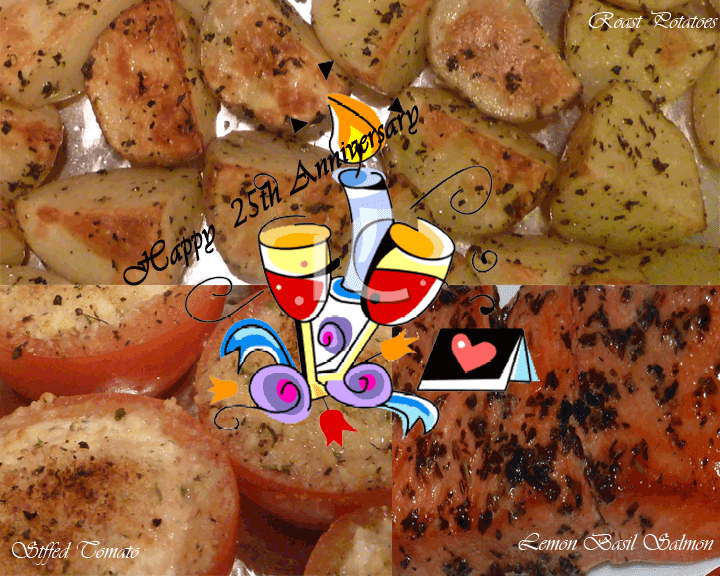 Ricotta Baked Tomatoes with Roast Potatoes and Lemon Basil Salmon. When I see so many varieties and types of tomatoes in the grocery store it inspires me to use them as the star ingredient in a recipe and not just as a flavouring or coloring agent as we do in most Indian curried dishes. Small cherry tomatoes in bursts of color (red and yellow) are great whole in pastas and in salads. The ripe tomatoes on the vine are just incredible and as I cut them in half the aroma and juiciness and texture arrests my hand from further mutilating them. So here goes yet another stuffed tomato recipe. The soft creaminess of ricotta and crispness of italian breadcrumbs combine to give this a unique texture.You get more than just great flavour and juiciness when tomatoes are at their peak of ripeness, you get a huge helping of vitamins A and C.
Cut tomatoes in half. Gently squeeze out the tomato pulp without damaging the shell. Season the tomato shell with salt and pepper. In a bowl combine ricotta cheese and some of the tomato pulp along with salt and pepper. Remember the tomatoes are already seasoned. Fill up the tomato shells with this mixture. In another bowl combine breadcrumbs, parmesan, parsley and pepper, sprinkle evenly over the stuffed tomatoes. 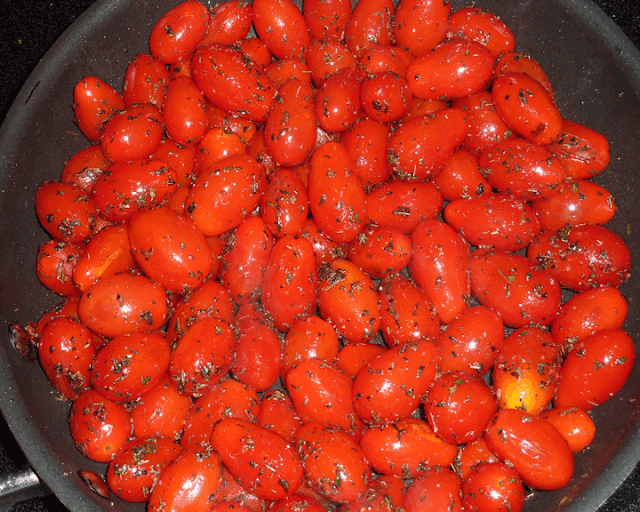 Brush the tomatoes carefully with some olive oil and place them on a baking sheet coated with ooking spray. Grill on high for 10-15 minutes or until heated through. Serve hot. Combine all the ingredients and marinate the fish for 10-15 minutes max. Grill on high for 5-6 minutes each side. Cut the potatoes into half. Put them in a microwave safe dish with 1/8 cup water. Microwave on high for about 6-8 minutes. Potatoes should be only three quarters cooked. Combine all other ingredients and marinate the partially boiled potatoes in it for five minutes. Lay them in a single layer on a greased baking sheet and roast for 10-15 minutes till fully cookes and slightly browned on the top. Beetroot contains no fat, has very few calories and is a great source of fiber. 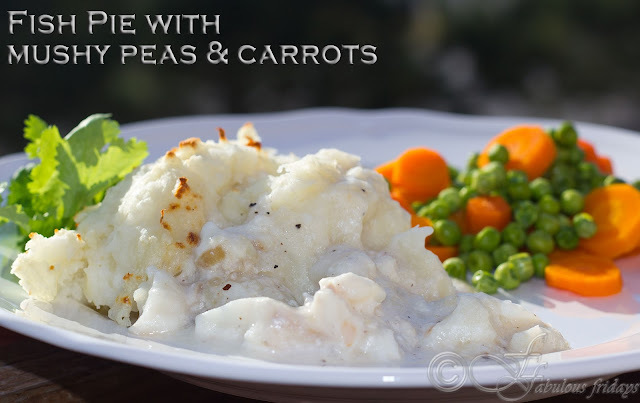 In accompaniment with carrots it has an enhanced vitamin-A content. All these bright colors make this dish rich in anti-oxidants. 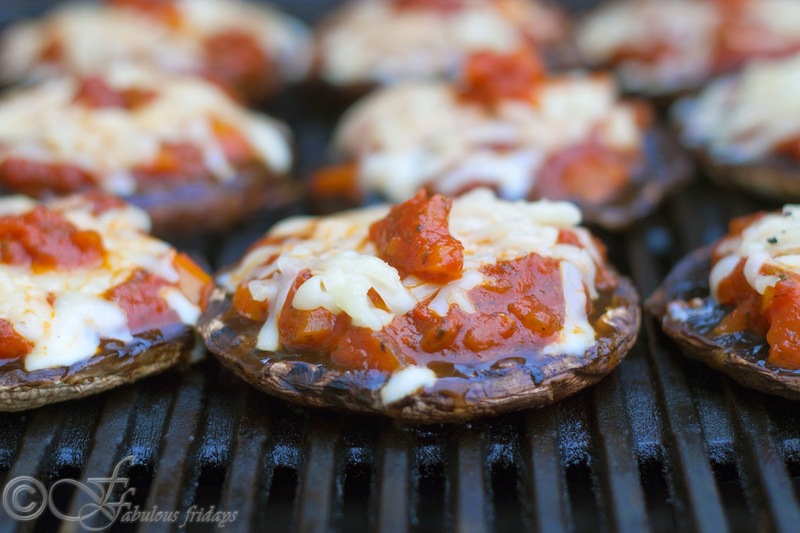 This can make an excellent snack of under 100 calories (when made without olive oil). Cook beetroots in the microwave till they are slightly cooked but still have their crunch. Peel and julienne. Peel carrots and julienne as well. Mix with beetroot sticks. Add salt, pepper and lime juice and mix well. Can add a drizzle of olive oil but it taste just as good without. Serve over bed of lettuce. In a small bowl mix together all ingredients for the marinade. Wash the drumsticks and remove the skin. Give a few diagonal slits. Smear the marinade all over the drumsticks and let it marinate for at least 4-5 hours. An extremely versatile tomato sauce this can be made ahead of time. 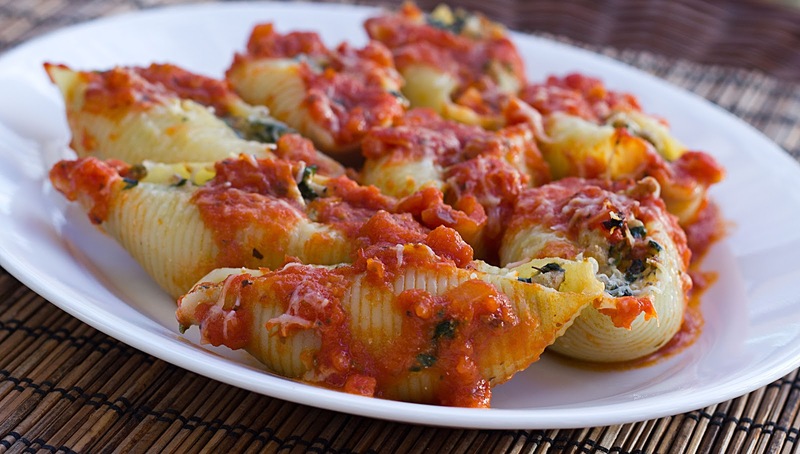 This can be frozen in batches for later use as the recipe makes about 10 cups of sauce. For making meat sauce add 2 lbs of ground lamb or chicken or turkey along with the onions and cook till done. Will make about 12 cups of meat sauce. 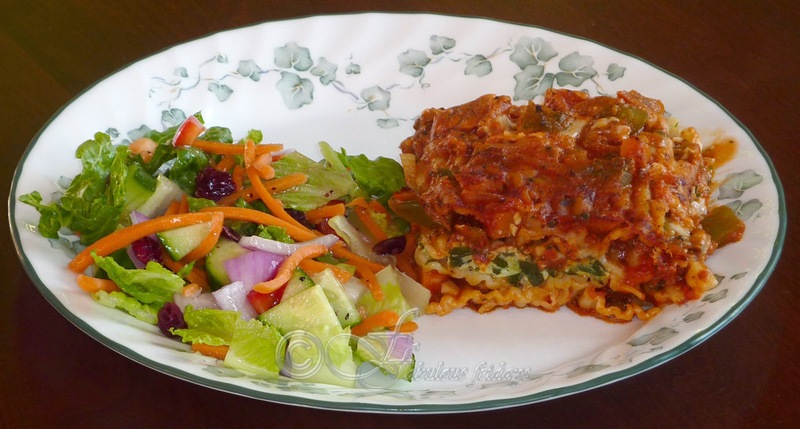 This can be served over spaghetti, and can also be used on other varieties of pasta such as penne rigate or fusilli or macaroni. In a large pan heat olive oil and add onion, garlic and bay leaves. Cook till onions soften. Add all the vegetables and season with salt and pepper. Cook on high for 2-3 minutes till the veges soften a bit. Now add tomatoes, tomato paste and puree, sugar and herbs. At this point can add a tsp or two of hot chili sauce. Stir and bring to boil. Boil for 2-3 minutes on high, then simmer for 45 minutes. Serve over boiled spaghetti topped with shavings of Parmesan cheese. 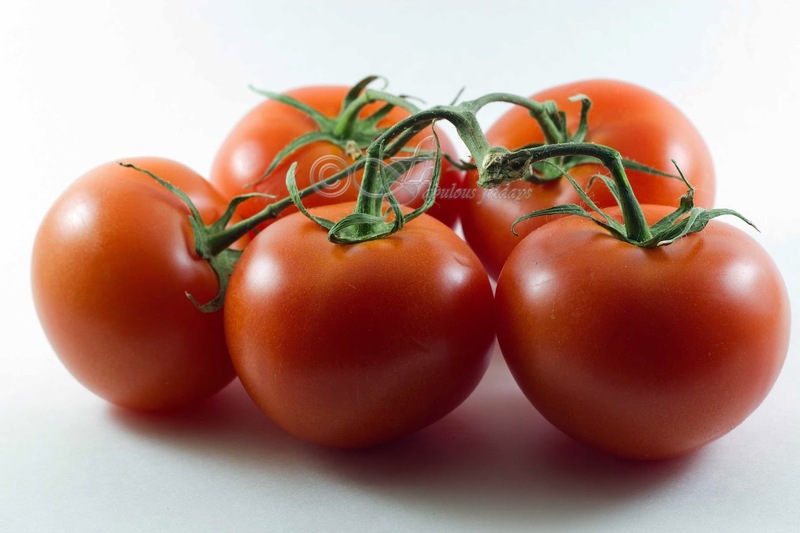 This fresh tangy basic tomato sauce recipe can be used in many dishes. 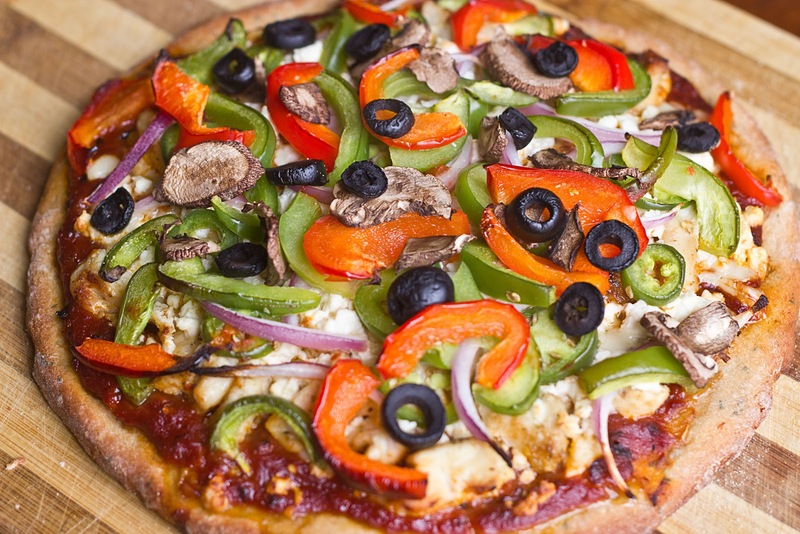 Spread it on pizza, toss it with pasta, fish, chicken or veggies. 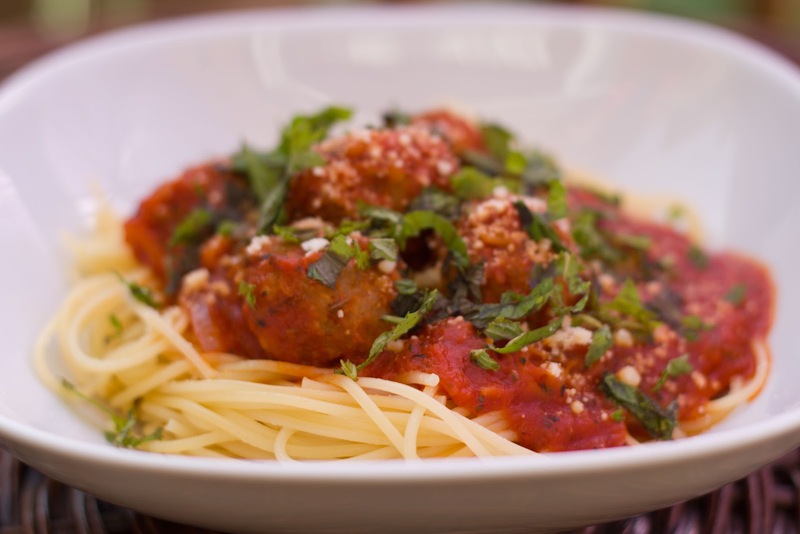 This versatile basic sauce freezes well too. 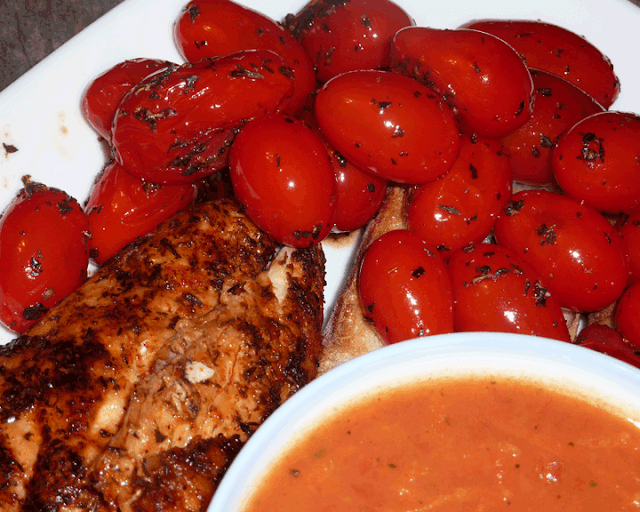 So when you have lots of fresh tomatoes you can make this and freeze in small amounts. I have also added two variations of this sauce. 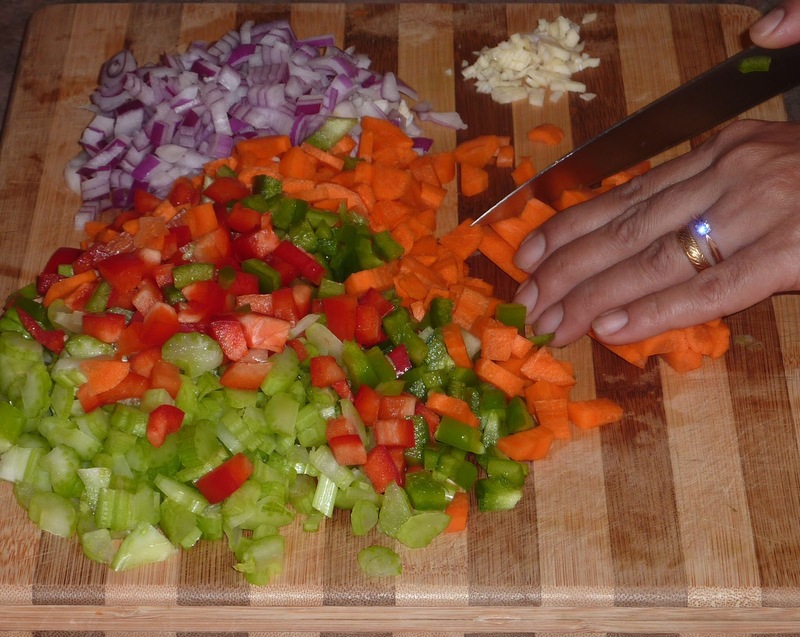 One is the meat sauce where you can add ground chicken or mutton and use it in lasagna, or in spaghetti bolognese. 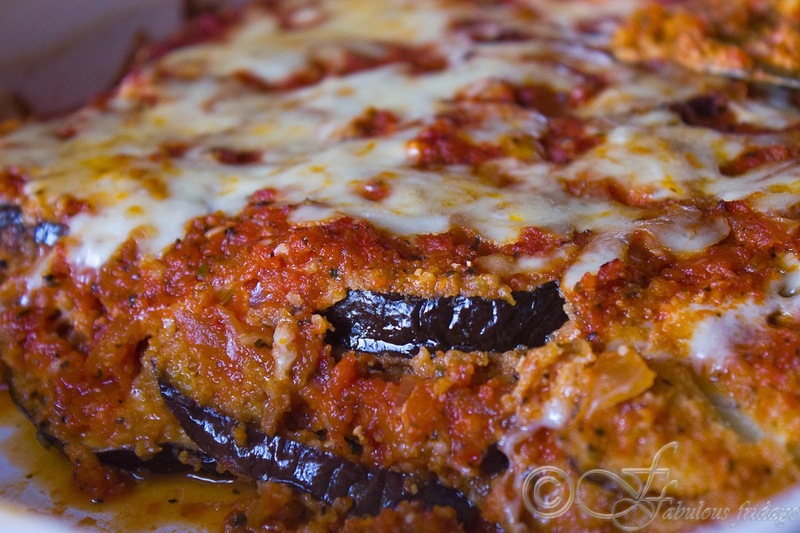 Substitute meat for a bunch of veggies and make the veggie tomato sauce. To make tomato sauce heat olive oil in a large stock pot and add onion and garlic and bay leaves. Saute for 2 minutes till onions soften a bit. Add red chili flakes and the dry herbs. Saute for 20 seconds. Simmer covered for about 30 minutes stirring every so often. Add ground chicken/lamb after step 2. Cook on high stirring often for about 2-4 minutes till chicken/lamb cooks a bit. Continue with the basic sauce process from step 3. 1. Add all the chopped veggies after step 2. 2. Cook on high stirring often for about 2-4 minutes to sweat them a bit. 3. Continue with the basic sauce process from step 3. Diwali the festival of lights signifying victory of good over evil is a festival for Hindus celebrated in October-November. I have very joyous childhood memories of Diwali. 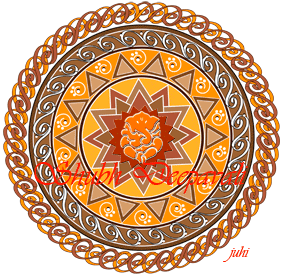 We would decorate the house with earthern diyas and flowers and make rangoli. The house would be full of sweet and savoury treats. Today after the laxmi puja, we had a special dinner of our favourite dishes choley and dahi vade. Named after its city of origin "Rawalpindi" this dish is a big favourite in our house. Original recipe calls for a lot more oil and very little water. I have modified it a bit to suit our needs without compromising the taste. This curried dish is different from other Indian curries as in the absence of onion and tomato. The dark colour is due to the anardana (crushed pomegranate seeds) which also gives it a slight sour flavour. In a pressure cooker put soaked and drained chickpeas along with salt. Cook on high till the first whistle, then reduce heat to low and cook for 20 minutes. While the chickpeas are boiling take the rest of the powered spices in a moderately hot pan and dry roast on medium high heat till the color changes to a darker brown and the spices impart a gentle roasted aroma. Wait for 10 minutes before opening the pressure cooker. Now add the roasted spices to the boiled choley and mix well. Let stand for 5-10 minutes to let the flavours blend in. In another pan heat oil and add the whole spices. Let sputter for 30 seconds and carefully add the spiced choley to it. Cook on high while stirring constantly for about 5-7 minutes. If the dish looks too dry add some water. Remember that chickpeas are very high in fibre and absorb a lot of moisture. So if you serving the dish after some time make sure to adjust its consistency before serving by adding some boiling hot water. Garnish with sliced red onions and slit green chillies. Serve with Naan, poori or roti. Dahi vadas are savoury lentil dumplings served topped with spiced cool yogurt and tamarind chutney. It makes a great accompaniment to any formal dinner or can be served as a cold starter. Soak dal for 12 hours. Grind to a smooth fluffy paste with minimum water. Beat the batter well (till it floats in a bowl of water). Take half tablespoon of batter in your palm and put a raisin in the middle. Cover with another half tablespoon batter. Deep fry the vadas in hot oil at medium high heat till golden brown. Cool. Immerse them in a bowl of hot salted water for about 10 minutes. Press out excess water carefully and keep aside. Beat yogurt in a bowl, add some water if its consistency is too thick. Add kala namak, salt, sugar, half the cumin and red chili powder and mix well. In the serving platter, pour 1/2 cup of yogurt at the bottom. Arrange soaked vadas on it in a single layer. Pour the remaining yogurt on top. Sprinkle with remaining cumin, red pepper, black pepper and serve with tamarind chutney and slivers if green chilies and ginger. In Kumaon (Hills of Uttar Pradesh, now called Uttarakhand ) culture malpua is a festivity dish. It is made on every festive and auspicious occasion such as Diwali, Holi, Weddings, Birthdays, Child's naming ceremony, etc. When I was a kid my brother and I really enjoyed these yum sweet treats and now my girls do the same. Apart from the delicious taste it keeps alive the festive tradition in our family and I hope to pass it on to my girls some day. Making singhals is a bit tricky and I have spoilt a large quantity of batter when I first tried making these some 12 years ago. You need to hold a lot of batter in your palm and drop it in a continuous spiral shape in the oil. 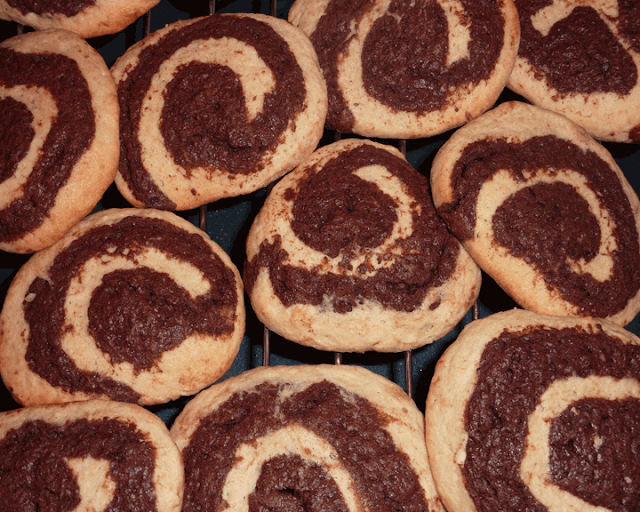 But don't worry the tiny malpuas are just as tasty and are easy to make until you are able to make the spirals. They can also be made using a Ziploc bag. Fill a large Ziploc with batter and snip a large hole in a corner. Now carefully drop the batter in a spiral pattern into the hot oil. Take suji in a large bowl and add ghee. Mix well with finger tips. Add yogurt and milk and mix to get a droppable consistency batter. Now add sugar and mix thoroughly. Cover and leave aside for an hour at room temperature. Heat oil in a deep pan at medium high heat for 7-10 minutes. After an hour the batter will change in consistency and become drier. Add about 1/4 cup of water to bring it back to a droppable consistency. Drop spoonful of batter into the oil and deep fry till golden brown. You might need to bring the heat down a bit every so often and then take it back up to prevent them from charring. Store in an air tight container at room temperature. Will keep for 4-5 days.